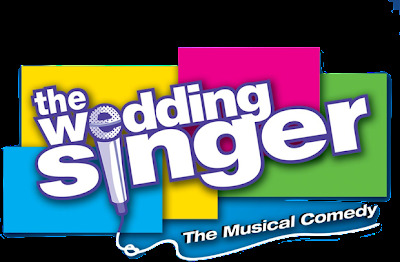 9 Works Theatrical will be having auditions for their new, upcoming musicale, The Wedding Singer, on March 19 (Friday) and March 20, 2009 (Saturday) at the Philippine Opera Company located at 15 Garcia Villa St., San Lorenzo Village, Makati City. Registration starts at 9 am for March 19 and 10 am for March 20. Bring your resume, photo, and prepare 2 pop songs from the 80's. The musical comedy is based on the 1998 film, The Wedding Singer. The lyrics was written by Chad Beguelin and the music was composed by Matthew Skylar. The story was based on the book written by Chad Beguelin and Tim Herlihy. For the full details, please check out: 9 Works Theatrical website. Meet Robbie Hart, a talented wedding singer in the 1980's who once dreamt of becoming a big rockstar. Meet Julia Sullivan, a waitress in a reception hall where Robbie performs. Both are engaged to be married, but to different people. When Julia asked Robbie to sing at her wedding and to help in the preparations, the two discover something greater than friendship. But will their love be strong enough to see a happy ending? Or will they grow old with the wrong people? Follow the adventures of Robbie and Julia and fall in love with their music and their story. 9Works Theatrical brings to the Philippines this 1998 hit movie which starred Adam Sandler and Drew Barrymore. We are selling tickets for the Saturday, November 6, 2010 (3:30pm) run at the Meralco Theater, Pasig. To reserve online, visit this site. So what are you waiting for? Reserve now and party with us like it's 1985! For Tickets to the Oct 30, 330pm show...visit www.theweddingsingermusical.blogspot.com to view the available seats and reserve online!